Anti-Smoking campaigns are undertaken by many designers and advertising agencies. Some are successful and most are not. Having experienced these campaigns first hand as a graphic designer who smokes, I decided to unlearn smoking myself and document the process instead of telling people to quit. The stop motion utilizes parody, satire and humor to comment on the current practices of anti-smoking campaigns, and explore the difficult challenges of unlearning smoking. Cigarette warnings on packs have little to no effect on smokers. They fail to understand the reason behind smoking and focus on scare tactics. The following experiment aims to shed light on the disintegrating effect of cigarette pack warnings on smokers. The project aims to put forward a different way of tackling the topic of smoking. It aims to facilitate healthy conversation between smokers and non-smokers instead of isolating smokers in a secluded space. 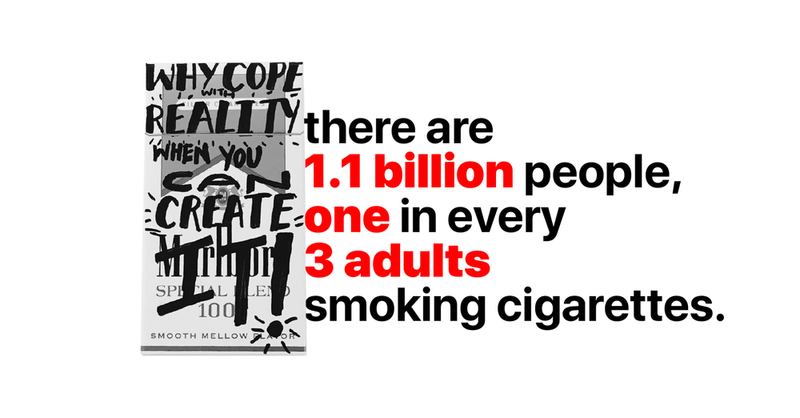 It proposes to look beyond scare tactics in convincing people to unlearn smoking.